In this lesson, we will learn how to build shapes with sticks and clay balls and decide if there are enough items to build a shape. Sarah has built a triangle by sticking 3 sticks into 3 clay balls. Can I build a square with these? Bassem has built a square with 4 sticks. How many sticks does he need to build a triangle? 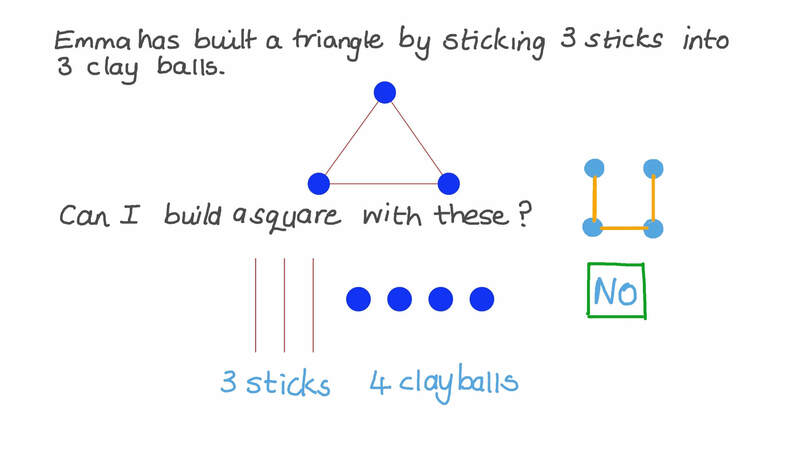 Which shape can I build with these 5 sticks?